The last month has just flown by! The fundraising is still very much in-progress and taking a fair chunk of the team’s attention, and we’ll be sure to share outcomes from the fundraising once it’s all wrapped up. Despite that, we’ve made great progress, with some exciting highlights. We’re also going to try to keep these updates shorter and sweeter, so you get more for less. We’ve sold over 200 policies! With the release of our first product in December, we proved that we could design and deliver a product to market in 4 months, that was truly differentiated from other products within the market. 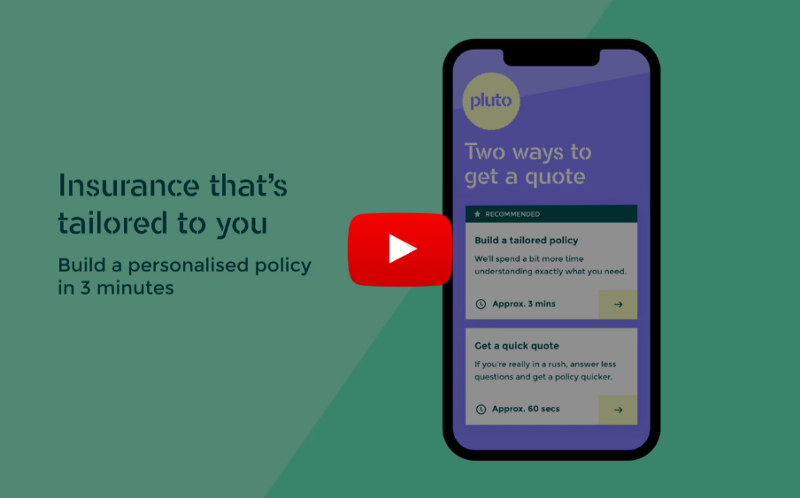 We’re receiving some great feedback from our customers — comments like how simple, slick and easy we’ve made buying insurance — just check out our TrustPilot page. Now our next big focus in the product space is to progress towards Product-Market fit. One way we’ll be doing this is continuing to refine and add to our core travel insurance product. This will include introducing business and group insurance, giving customers the ability to pay monthly for their insurance and continuing to improve the claims experience. Beyond this, we’re exploring “value-add” travel services that complement our current product and are consistent with our broader mission. The ambition is to build on our starting point of travel insurance and provide a more holistic travel experience that helps customers prepare for their holidays, provides peace of mind whilst they’re away and has their back if something goes wrong. The aim is to be more proactive in helping our customers. Moving towards a model where we’re ensuring they have a safe adventure, not just insuring them if something goes wrong. We’ll keep you updated as we further research and explore how we progress towards this broader product vision. A comparison table with the aim of communicating to prospective customers the benefits of Pluto travel insurance over traditional insurers providers. With this feature at the point where a customer is reviewing quotes, our hypothesis is that it will improve conversion rates. A quote reminder feature with the aim of capturing customer leads who have used our product but aren’t currently ready to purchase. Some customers would give Pluto a try, but don’t have a holiday booked so don’t need travel insurance. By capturing their email, we can re-engage them at a later date when they’re more likely to be planning for a holiday. A new lower baggage limit of £500, on the tailored journey, is about to be launched! Loads of other tweaks and fixes, including adding an A/B testing tool into the product! You should already know how beautiful Pluto is and what it can do, but if you need reminding (or want to show a friend), we just created a new video tour! We can’t wait to talk more about the challenger bank pilot we’re running and hopefully, it grows into something bigger. We’ll keep you posted on this. A number of new discussions also kicked off this month with a personal finance management platform, a virtual healthcare provider and a large pre-paid travel card/FX provider. It’s not only about finding companies where we can offer their customer great travel cover but looking at where we can provide our customers access to useful services that help them in before, during or after their holiday. The focus over the next few months is to go-live with the current partners in our pipeline and start delivering on our partnership channel.